The largest comprehensive exhibition of world famous illustrator John Berkey’s seldom seen works, titled “John Berkey Observed,” opened on Nov. 4, 2005 at ArtOrg’s Moving Walls Gallery in Northfield. 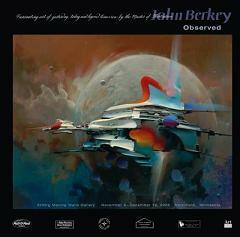 The exhibition included the world premiere screening of several of Berkey’s experimental video productions. The exhibition featured over 50 original works spanning Berkey’s entire career, including a number of Berkey’s signature space paintings. This show was the first significant solo gallery exhibitions of Berkey’s work ever held and each included a number of works never before seen by the public. A unique feature of the exhibition was the rediscovery of Berkey’s experimental videos. The artist took many of his fully-realized paintings and set them to music, weaving in and out of the images, panning and zooming across one image only to fade in to another. He created deeply distinctive descriptions of his various works in subject groupings such as American history, space travel and others. 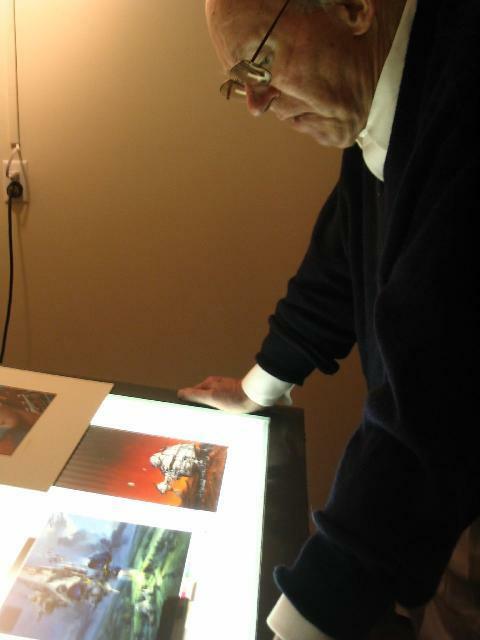 These video works had their world premier at Carleton College, and John Berkey was present at the screening. Berkey was born in North Dakota and grew up in South Dakota and Montana before settling in Minnesota. After attending the Minneapolis School of Art and taking various studio jobs, he became a staff artist at the Brown & Bigelow advertising firm for eight years. During that time, Berkey produced more than 500 calendar images, featuring everything from pastoral scenes to historic tableaus, before turning to freelance illustration in 1963. 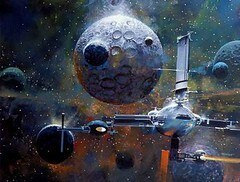 Berkey is perhaps best known for his science fiction illustrations. Among those attracted to his science-fiction illustrations was the young George Lucas, who commissioned him to work on the pre-production designs for “Star Wars.” Renowned for his robust and impressionistic style, he has created paintings for book covers, movie posters, advertisements and publications such as National Geographic, Life, Time, Sports Afield, the Eddie Bauer Catalog and TV Guide. His images appear on 16 U.S. stamps and he was the illustrator of the “elder Elvis” in the Elvis Presley stamp competition of the early 1990s. In 2004, Berkey was named to the 104-year-old Society of Illustrators Hall of Fame, which includes Norman Rockwell, N.C. Wyeth, Frederick Remington and John James Audubon. He has been nominated by the Association of Science Fiction and Fantasy Artists for the Chesley Award for Artistic Achievement and has been a guest of honor at a number of science fiction conventions. John Berkey passed away on April 29, 2008.